Stain Resist Warranties for olefin and polyester will often be more liberal than those on nylon due to the differences in fiber characteristics. Foods and beverages that contain strongly colored natural disperse dyes as found in products like mustard and herbal tea. Substances which destroy or change the color of carpets such as but not limited to strong acids, strong alkalis, bleaches, acne medication, drain cleaners, plant food and pesticides. Discolorations from grease, asphalt, tar, paints, ink, rust, blood, cement. Stains from vomit, urine and feces. Residual stains that occur in high traffic areas such as stairs are excluded due to the natural loss of stain resistance from foot traffic in these areas. Carpet installed on stairs or in high traffic areas. Stains resulting from commercial use, i.e. contracted services, in-home businesses, etc. Abnormal use or conditions such as but not limited to, water damage from plumbing, storm or flood damage. The fiber or carpet manufacturers recommended cleaning procedures and frequencies must be adhered to. The consumer will routinely be required to show that the carpet has been cleaned by a qualified professional cleaner according to the fiber or carpet manufacturer’s standards, no more than 30 days prior to the warranty service request. The fiber manufacturer may evaluate the carpet based on a standardized rating scale. The carpet and/or fiber manufacturer will usually have clauses in the warranty that set limits in certain areas such as stairs and high traffic areas. Under the terms of these warranties you will also be required to use specified professional cleaning processes. 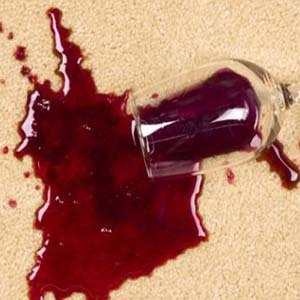 To meet the requirements of carpet stain warranties and other carpet warranties you will want to follow the manufacturers guidelines. Make sure you keep your cleaning receipts in a place you can locate them should you need to file a claim. Emily, I see you are in the carpet cleaning business. Glad we were able to help!